Malina is a graduate of Queen Mary University of London, where she underwent a joint degree in History and Politics. 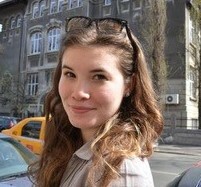 Before that, she did her A-Level studies in Oxford, where she read German, French, History and Politics. Although she has lived abroad for the past five years, Malina has engaged with various Romanian initiatives, from undergoing internships with Foreign Policy Romania and Global Focus to organising the Histories and Film Festival in Rasnov. Malina is an avid consumer of culture and American politics.